Website fastrunning.com has written a fantastic article on GLL Sport Foundation supported athlete Imani Lansiquot. Imani is the second fastest British junior of all time, being only behind GSF ambassador Dina Asher-Smith. She has a bright future ahead of her, but also has the ambition to inspire young women and become a psychologist. Read more below from Niall Hugh’s article. Born and raised in Peckham and now living in Croydon, sport, and in particular sprinting, was where she first discovered her talents and potential from a young age. “Growing up in an inner-city area, going to an inner city primary and secondary school, it’s really important to me to inspire young women. I want to be that encouragement and show that there is more to life than where you are from, your background or who you are. You can fulfil your potential in any area you choose and sport was that for me. It let me magnify my confidence and that then flowed out into all other areas of my life,” says the 19-year-old. 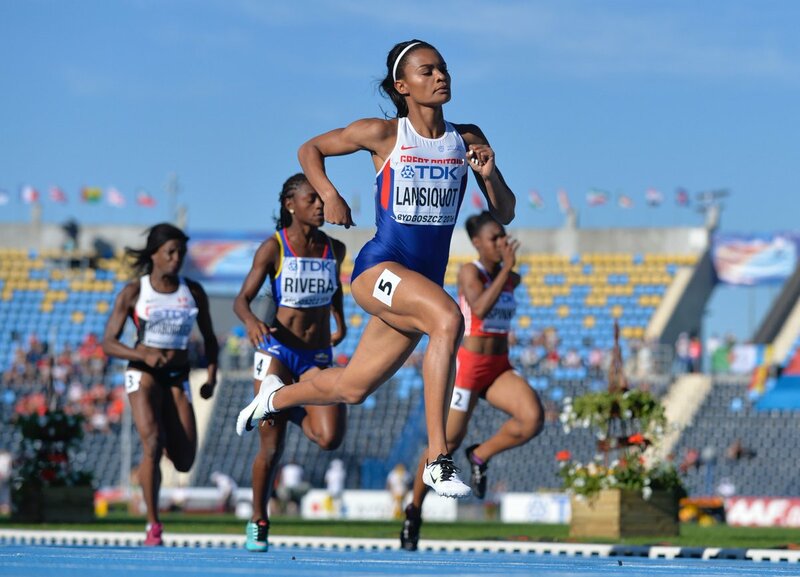 The captain of the Great Britain team at the World U20 Championships in 2016, Lansiquot became the second fastest ever British teenager, behind Dina-Asher Smith, clocking 11.17 in her 100m heat. She has also won relay gold at the European U20 Championships in 2015 and has consistently performed at the English School Championships. In September, she was announced as one of 10 to win a place on the coveted Sky Sports Scholarship programme, and over the next four years, she will be financially supported as an athlete as she targets the Tokyo Olympics in 2020 and beyond. The scholarship also offers sporting and business mentorship, personal development and work experience, and Lansiquot hopes the network of people she meets along the way can help assist with her aim to inspire other young women. 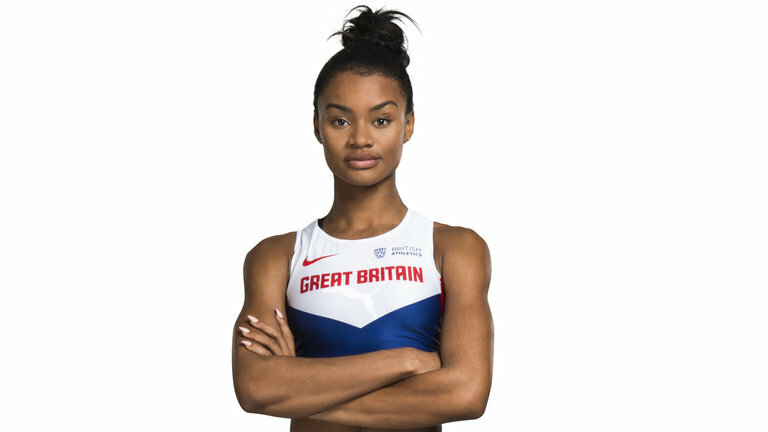 “I want to do a lot of work to help young women from my area get involved in sport, and I think Sky has all the connections that can help me put that into action,” says the ambitious young sprinter. Lansiquot won’t face the financial burden experienced by many aspiring young athletes who train full-time and dream of performing on the world stage, but initially she was event hesitant about applying, unsure if she was the right fit, but after getting advice from sprint great Darren Campbell, she decided to go ahead with her application. “Everyone within my current network is from an athletics background, so now that I am on the scholarship, it will be good to have that different perspective over the next few years, because I also have high ambitions outside of sport,” she adds. As a junior, the Sutton athlete has ran faster than three of Britain’s world silver medal-winning quartet, namely Daryll Neita, Asha Philip and Desiree Henry, and excitement builds on her potential development over the coming years. However, when you witness Daryll Neita and Dina Asher-Smith, only two years your senior, winning world medals it can also be a challenge in itself for a young athlete to not grasp for success too soon. “I am a perfectionist, and I think being a young athlete it can be easy to forget the process and become too focused on the outcome. However, the success of British sprinting especially with the girls is super inspirational, and I’m really excited to see how far all of us can go. With her former coach, Jonas Dodoo moving to Loughborough, and Lansiquot staying in London to begin life as a university student, maintaining that relationship wasn’t going to be feasible. However, as much as she looks back fondly on her time with Dodoo, when one door closes another one opens, and she now has the opportunity to train with Steve Fudge, renowned for his expertise on mastering a sprinter’s start, and also the coach of British 60m indoor record holder Asha Philip. From talking for a time to Lansiquot, who finished fourth at the British trials before the 2016 Rio Olympics, it’s clear that the mental aspect of sport is important to her, and no wonder when she is an aspiring psychologist. The mental side of the sport is not just about preparing mentally for a race, but it’s also about how you manage the stress and pressure when things aren’t going your way, or when surrounded by peers with sprinting success, how you stay grounded and focused on creating your own success. “I’m a really focused and determined person, and I have always been like that. The goals that I set myself are always extremely high, and it can be hard to keep your cool under all the pressure. I like the challenges though, and I am learning how to balance both being relaxed and motivated at the same time”. Away from the track, Lansiquot finds herself following in the footsteps of Dina Asher-Smith as she begins the university chapter of her life as a student at Kings College London. Tokyo 2020 is the ultimate goal and everything leading up to that is about getting ready to be on that start line. I’m hoping that on the journey to Tokyo I manage to break 11 seconds. It would be amazing to achieve it, but the main focus is just getting championship experience and contending for medals… after that, the times will follow. The majority of 19-year-old athletes wouldn’t be looking too far beyond their athletics career but for someone as determined and focused as Lansiquot, of course, she already has it mapped out.